Project Perfect Mod :: View topic - RotD General Bug Thread? Posted: Thu Nov 04, 2004 9:49 pm Post subject: RotD General Bug Thread? 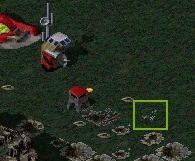 AI on Tech Level 1 can build Guard Towers (TL4). another small bug: the Service Depot should be called "Repair Bay". 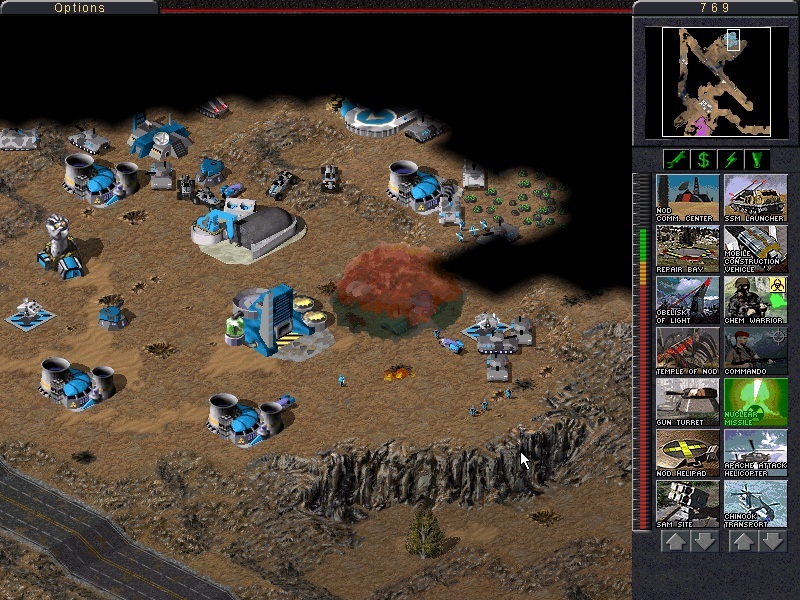 In Tiberian Dawn it was called "Repair Bay". someone got this or infos screens or somewhatever? No there is no TD beta. And in the TD demo it's also Repair Bay. The fact it was called Service Depot in RA1 was because it also refilled mine layers. hm... no idea why I called it service depot... will fix that. About that guard tower TL thing: no idea what causes this, but i'll have a look. [quote="Nyerguds"]No there is no TD beta. And in the TD demo it's also Repair Bay. you do know your talking to the most knowledgable person on the subject of c&c there basicly is right? Oh, another small bug... the muzzle flashes of the guard tower are positioned too high. I marked the spot where the GTWR is shooting at. Ive adapted a few of the nicer TD beta concepts and put them into TSR if anyone noticed ? P.S. A particularly interesting concept is hand to hand combat of infantry (which was meant to go into TD, but was not in the final) however the animations are all still there in the .mix files. Yeah, I've seen that. It's used in one of the Nod briefing vids too. Talking about C&C1 beta concepts... know this one? Ooh..A-10 Crash..Anyway, i was playing at School on my NICE and..Soopah Upgraded with 1 GB RAM, and One Mother of all HDs ( 60GB. xD )..When right as the loading game came up for the Game, it crashed. O_o' Then when I tried again, it worked. o_o Figured I'd mention that one. 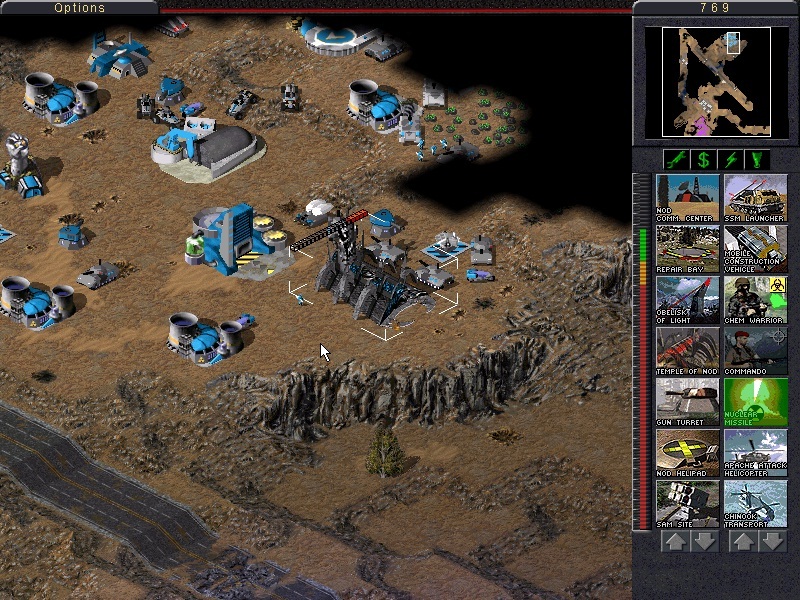 OH, and about Service Depot..I looked in the Tiberian Dawn Conquer.mix file.. (MOTHER OF ALL FILES!) and it said "make: service depot" after the file: fixmap.shp That settle any questions? No, because that's just what Olaf Van Der Spek put in there as description. That text is just part of XCC Mixer, not of C&C. The only official thing that's in there is that it's called fix.shp and fixmake.shp (Nof fixmap; fixMAKE). I've noticed so far that the AI Doesn't build Mammoths, Apache's, SSM's. GDI AI doesn't build Advanced Power. I noticed some tree got a neon blue shadow while burning. It's part of the buggy Forest Fires logic which would burn all nearby trees down to ash. Welll.. should the GT have a machine gun turret on the top? Yes they do. They use the 'burnt' stage at the end up burning up. And that's what I saw. Well.. should the GT have a machine gun turret on the top? Oh, right... for anyone that might be interested... I got a huuuge C&C1 image database online here. Oh, right... for anyone that might be iterested... I got a huuuge C&C1 image database online here. Seaman helped me a lot though. He gave me the strat guide renders and helped me get the correct units in the Real-life Equivalents section. That's not possible since none of the Tree SHPs don't have a frame for damaged stage. But I guess you have seen those TD tree SHPs? They have frames for damage multiple stages but seems like they were not used. Maybe ROTD should use them? Nevermind... it was just one of those winter trees that just didn't have any leaves. Right, another bug here... in TD you ONLY need the refinery to build a weapons factory. The GAPILE should be removed from its prerequisites list. hm, maybe the shadow was converted to wrong color... i'll have a look. about the prerequisite of weap factory: you're right, I just forgot to change that. will do for 2.3. I noticed a weird bug. When nuking a Temple of Nod I get little or no fire around the nuke impact. Also, sometimes the nuke destroys it, and other times it doesn't. This is also related to the amount of fire appearing, apparently. ONe time, the temple lost less than a quarter of its health, while another time the nuke destroyed it on impact. Nuke almost destroyed the Temple. No fire appeared. They sold the temple when the nuke almost destroyed it. No fire appeared. I got it on some other buildnigs too... like the civvie armory.